Serious collectors know that many people have old cast iron pots inherited from a relative sitting in the back of the cabinet waiting to be brought out for a yard sale. Good cooks know that many of those same people spend good money trying to find pans that work as well as those in the back of their own cupboards. Identifying old cast iron pans requires some time and effort. Here's how to begin to decide which cookware to keep (and use) and which to put in the rummage sale. Look for a maker's name and location. 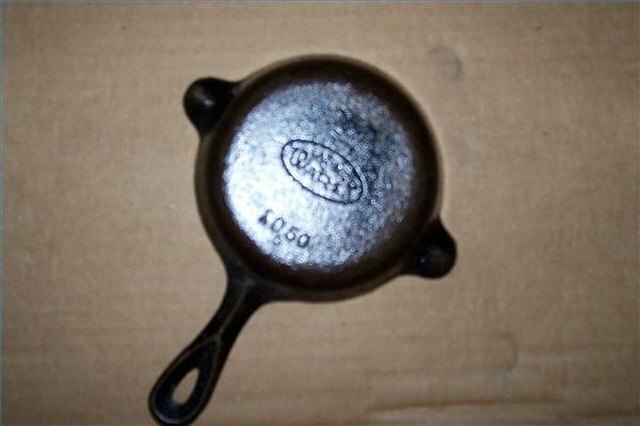 Griswold and Wagner are the two most sought-after brands of antique cast iron cookware, but many more companies made cast iron cookware, too. 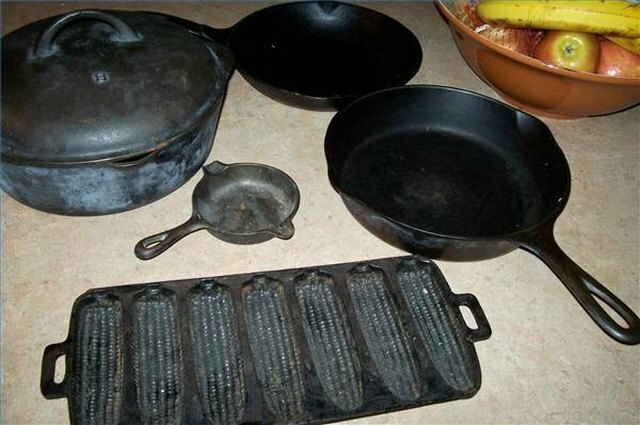 Fanner, Crusoe, Puritan, Columbus and other makers produced cast iron cookware in the shadows of the steel mills of the Monongahela and Ohio River valleys in Pennsylvania and Eastern Ohio from the middle of the 19th century through the 20th century. Other early makers were generally scattered around the Midwest near the natural resources that created cast iron. 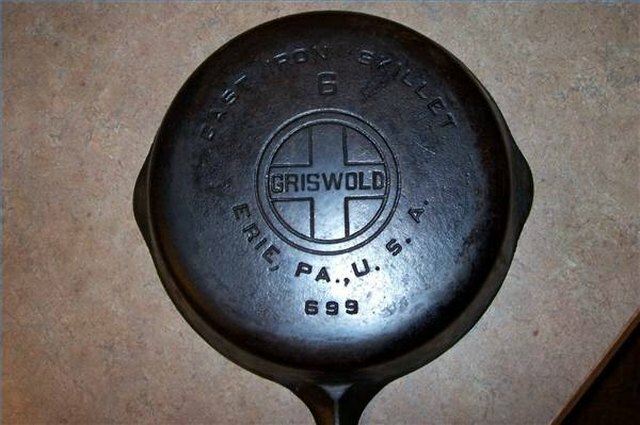 Griswold pieces may also have their factory location, "Erie Pa." on the bottom of the pan. Wagner was located in Sydney, Ohio. Antique dealers may be able to provide information on other brands. Look for patent data. Many makers patented cookware or novelty designs to show how modern their pieces were. Griswold Manufacturing Company was established in 1865 and was purchased by Wagner Ware in 1957. The Wagner Hollow Ware began in 1881 and became the Wagner Manufacturing Company in 1891. They become Griswold and Wagner in 1957, and in 1996 assumed the name that is stamped on most of their cookware, "Wagner Ware." Any patent dates should fall within the range of the maker's corporate identity. Some pieces may have a U.S. patent number rather than a date. The number will be preceded by the words "US Patent." Check for size markings. Makers often mark pieces with numbers that correspond to size. This helps match skillets to tops and parts of multipiece items such as waffle, wafer and corn dog irons. The mark may not always correspond to the actual measurement of the piece. For instance, the skillet with lid pictured here is marked "8" but is actually 10 inches across. Find any stock numbers. The Wagner Ware ashtray pictured here has a stock number of "1050" with a letter "c" beneath it. These numbers may refer to a catalog number. Reprint catalogs are available from American Culinary, successor company to Griswold and Wagner Ware, that can be used to identify pieces. David Smith's website, www.panman.com, carries reprints for Griswold, Wagner and Wapak hollowware. Note any other numbers or markings, including piece names like "Dutch oven," "chef's skillet" or other descriptions. 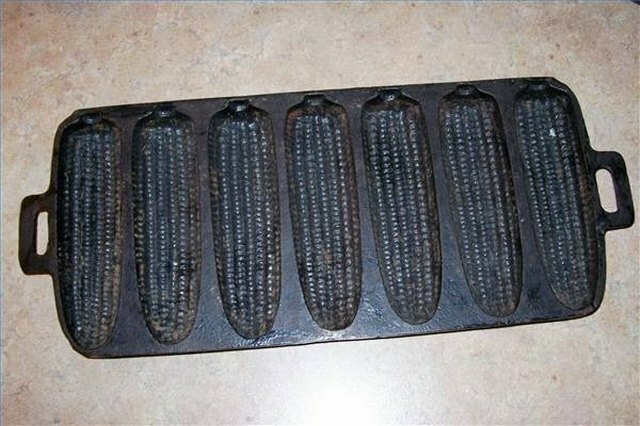 The cornbread mold pictured has only a "7S" mark on the back, possibly denoting that it is a seven-muffin plaque. These numbers are often unique to manufacturers (even the Griswold Company produced "unmarked" pieces) and were impressed in promotional or second-quality pieces. 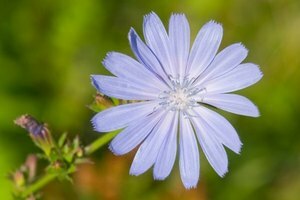 In all probability, only a collector or expert can decode them. Check dealers and collectors club catalogs and websites to find markings that match the stampings on your pieces. Putting a value on your pieces can be as easy as finding an identical piece at an antique mall or as involved as finding an expert to give you an appraisal. 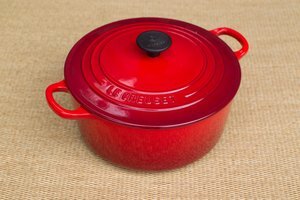 Search patiently and get as much information about cast iron cookware as you can before dealing with an antique or collectible dealer who might want to buy it. Never dispose of a good old cast iron pan. Most old pans, even painted and rusted, are reclaimable, and many cooks swear by them as the best cookware available. 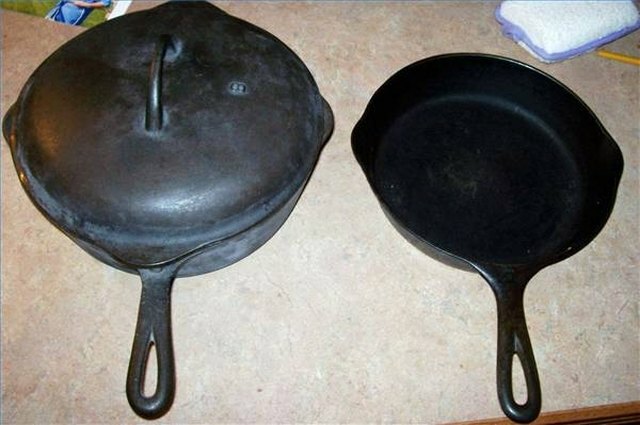 "Newer" cast iron (after 1950) is considered inferior to the older, harder "black" cast iron and much of it is amazingly light. 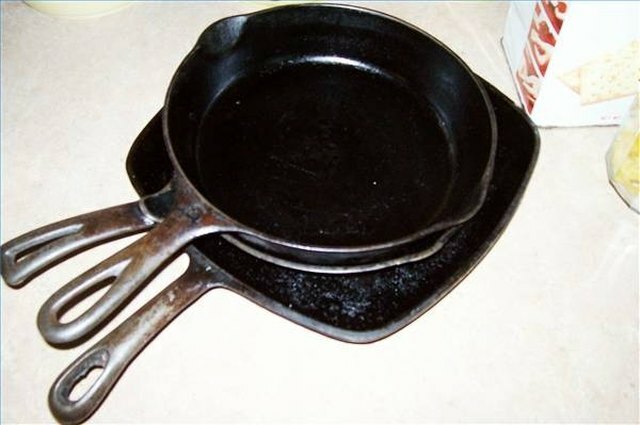 As with any collectibles, cast iron (even Griswold or Wagner Ware) is only worth what people are willing to pay for it. A quick check on eBay will confirm that pieces that are over-priced by their owners draw few bids.